Quick blog entry, since today is Scary-Crayon's 13th birthday!! I'm about halfway through a new article, so there will definitely be content in the next few days. No promises on whether there will be regular updates -- I hope there will be, but I always hope there will be -- but we'll see. I do have several articles in varying states of completion, though, so they'll undoubtedly end up on the site at some point. The occasional article post notwithstanding, it's been a really long time since I've delved into the inner workings of the site and/or viewed articles when not logged into the control panel... and apparently a whole lot of stuff broke around here behind the scenes. I don't know that I have it in me to fully update the site for 2016+ now -- I'm presently not all that concerned with tailoring the site for mobile browsers, for instance -- but I'd like to keep the site functional and at least somewhat aesthetically pleasing! So please drop me a line if you see anything that looks super broken or just weird around here. Hey -- so Scary-Crayon isn't dead! The blog's probably a bad place to be focused if you're keeping tabs on the site (I *really* haven't used it much since I've been posting articles such that folks can comment directly on them; Facebook or Tumblr are probably better for updates), but I'll still post here from time to time. Like now! If you missed the most recent article, here's a link to my impassioned defense of Batman v Superman. In other news, since I just watched Unfriended, here's a super-quick film review! The movie was... actually pretty decent. The gimmick -- the entire movie unfolds on the computer screen of one of the characters: all character interactions take place on Skype and Facebook/Gmail messages, all flashbacks are done via YouTube and Facebook memories, etc. -- was surprisingly effective, all things considered. There's not a lot of depth here in terms of story or characterization, but somehow that just makes the result that much more impressive. There's even a fairly pronounced anti-bullying message! I can't imagine having watched this in a theater, though; I'd wager that the film plays much better -- or at least seems more convincing -- on a computer (and perhaps even better on a laptop). All for now, kiddies. I say this every time, but seriously -- there's more content on the way. One word: Booyakasha. 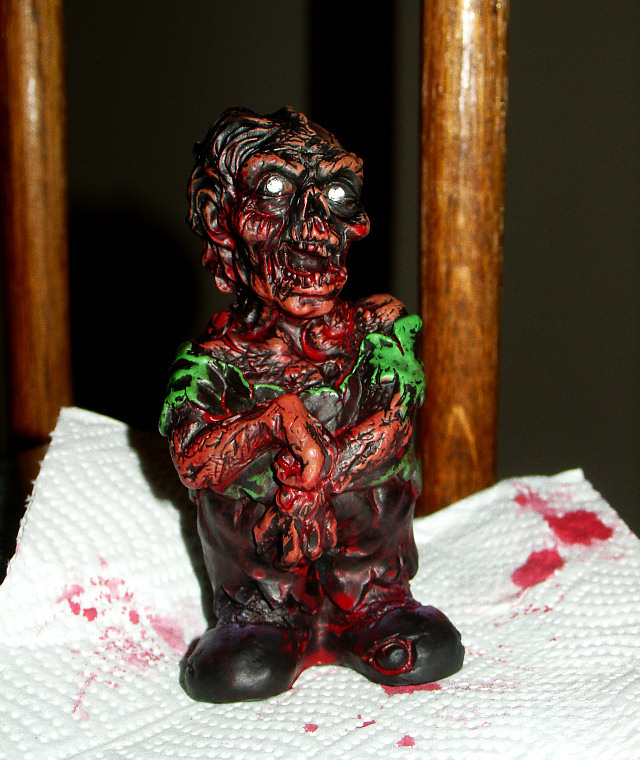 That's right -- after over a year without any official updates to the front page, Scary-Crayon actually finally does have a bona fide NEW ARTICLE! It's about my experience with Sci-Fi Speed Dating at this year's Awesome Con, and... well, yeah, just read the article if you want my detailed thoughts. The short of it: save the undisclosed $20 fee and the way paying it colored my attitude towards the event and its organizers, it was okay. Anyway, new Scary-Crayon article. YAY! And there are more to come. DOUBLE YAY! Of course, I say that every time I write something here -- so clearly my word isn't to be trusted -- but tonight? Tonight there really is fresh content on Scary-Crayon. 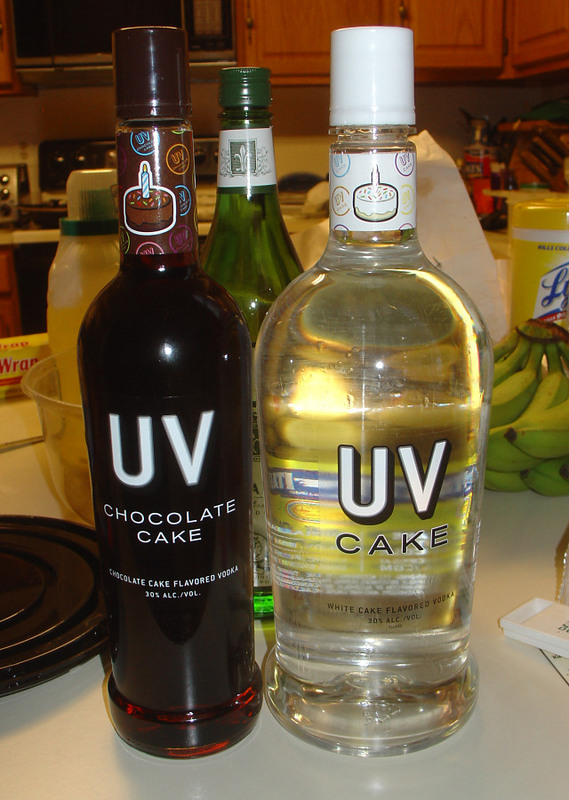 Please raise your glasses and join me in a celebratory drink. We've all earned it. Anyway, now I remember -- so yay! Expect more blog content, if nothing else. I do have a review of a recent "Doctor Who" episode ("Into the Dalek") nearly finished, and I'll probably start posting my thoughts on episodes in the blog from here on out, so yeah. I'll post other stuff, too. SERIOUSLY. I'LL POST STUFF. Yep -- it's been a while, but it's finally time for another installment of Thrift Store Thursday! 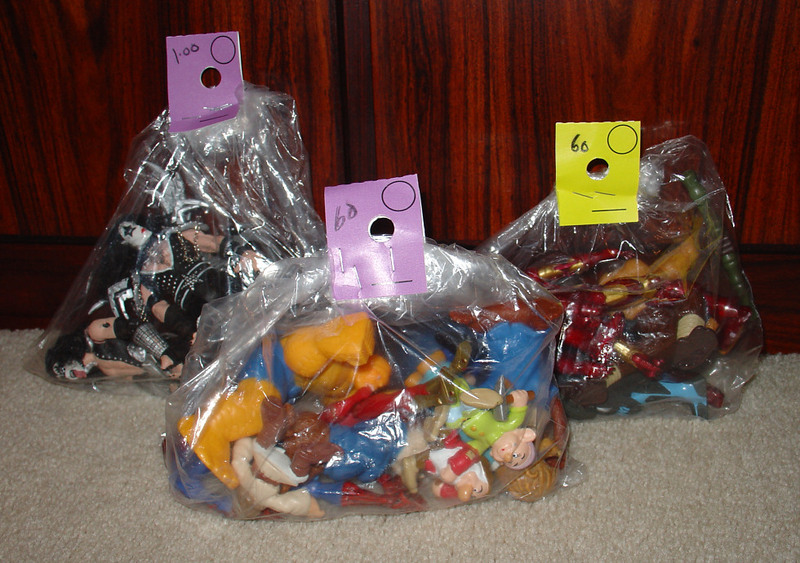 Today we'll be delving into three plastic baggies totaling $2.20: two 60-cent bags and one for a whole buckaroo. Take a good, long stare at the bags in the above pic to see if you can figure out what's in 'em... and then click through (or scroll down) to find out if you're right. So I mentioned in the last brief update that I've been a bit distracted by customizing. That's true, but I've also been messing with this smartphone I got over the holidays -- trying to figure out what it can do and whether I'll be using it to handle certain tasks around the site. 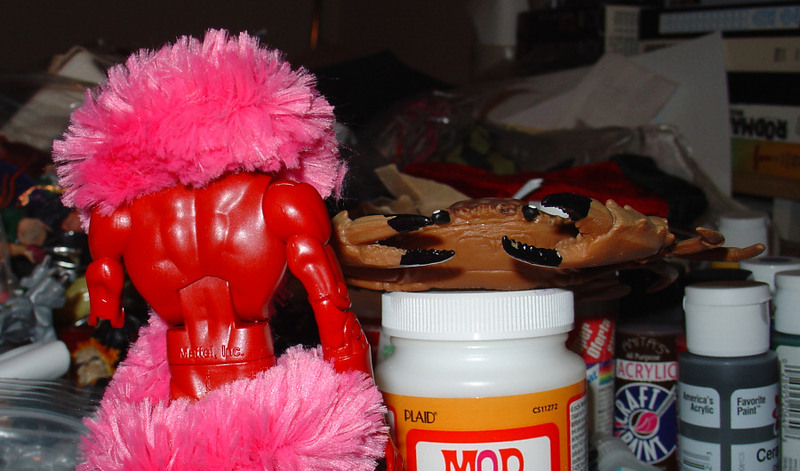 If you've been following Scary-Crayon on tumblr and Facebook (and Twitter, to a lesser extent), you've seen some of my experimentation with that -- posting snaps from the toy aisles and random musings while I'm on the go. And while I'm thinking that I'll probably keep using the old digital camera for studio snaps and convention appearances (it's just got better photography capabilities, even though it technically boasts fewer megapixels), I'm thinking I'll transition over to the cellphone camera for shots that don't need to be super awesome. Along those lines, here's the cellphone camera-captured Thrift Store Thursday #6! 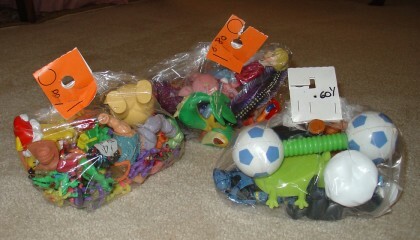 Today we'll be looking at two bags of toys: one that cost 40 cents (the tag says 60, but I got it on one of the 1/3 off days) and another that cost 90 cents. Aaand yeah, let's just delve right in. Next up, the 90-cent bag, which was filled with... wow. Okay. 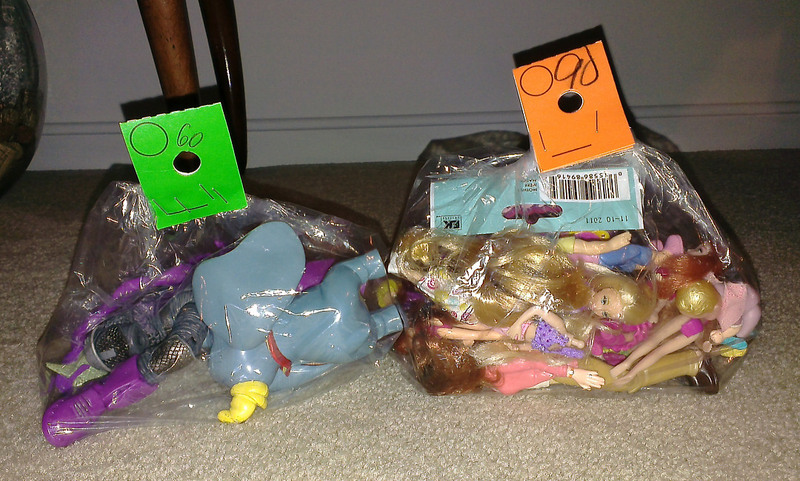 I knew there were more than a couple of dolls in that bag, but I was NOT expecting to pull doll after doll after doll after doll out of it. There's 15 freakin' dolls in there -- and that's not even counting the baby, the three headless bodies, and the two pairs of legs! (And a sticker set for girls who really love their mothers.) 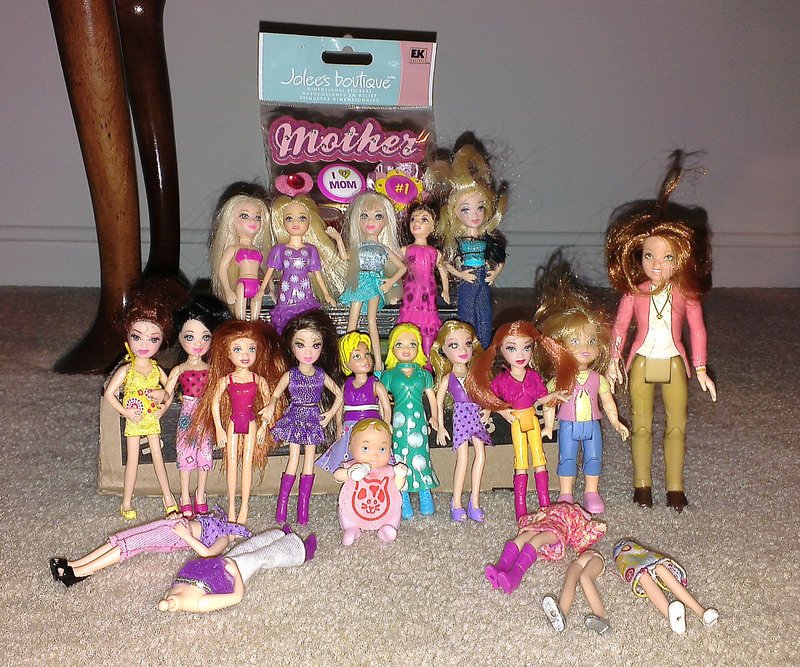 I wanted a few Polly Pocket-sized dolls with rooted hair for a goofy project of mine, but holy shiz. Ah well; I'm sure I'll figure something out! I do like the look of the larger dollhouse chick... maybe with some modification she could be a decent Mary Jane or something. 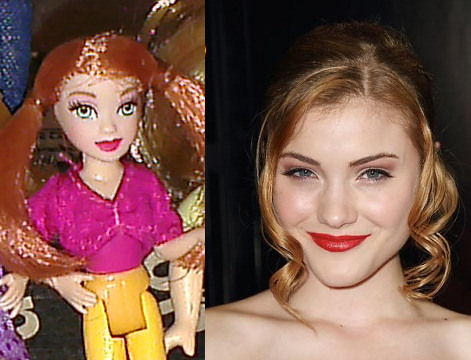 Also, this doll totally looks like Skyler Samuels. Still alive! 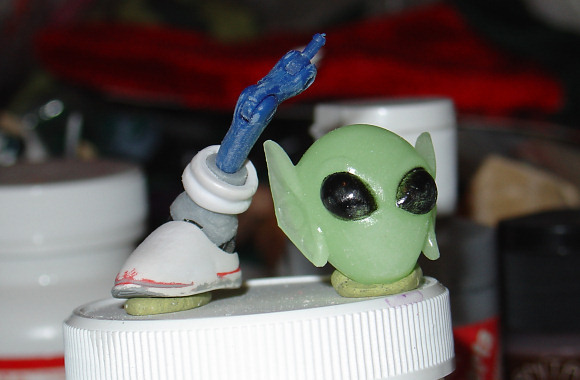 And makin’ stuff. Soooo... just a real quick note to say that, yes, we're still alive! I haven't fallen into any gaping pits o' fire or anything -- things are all well and good (or at least not too terrible) behind the scenes at Scary-Crayon. 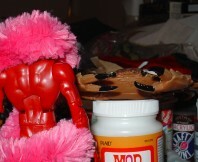 As is often the case when I disappear for a bit, I've been bitten by the customizing bug something fierce lately -- probably as a result of my participation in TheFwoosh's annual Secret Santa customizing event. Hopefully I'll post a writeup in the near future (which will cover two years, since I never got around to doing my writeup of last year's event)! In the meantime, though, here are a couple of work-in-progress shots from two of the too many projects I've got going on right now. 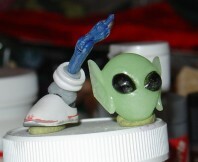 Any guesses regarding the identities of the characters I'm making? Hidey-ho, readers! It's been a little while, but we're finally back with another installment of Thrift Store Thursday. Yay? Hey there! So in keeping with my video posting experiments, here's a special video installment of Thrift Store Thursday. Do let me know what you think! Also, in keeping with the Killjoy cameo, here are the links to the Full Moon Direct website and the product page for Killjoy. 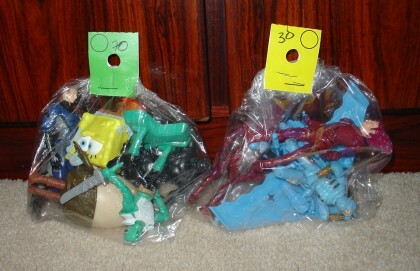 I've also included the link for Full Moon's Killer Toy Sale lot -- 'cause if you're willing to drop $20 for Killjoy, why not get a couple other toys for free as well? The Pimp from Blood Dolls also kinda looks like a clown, so if you dig Killjoy you'll probably enjoy having the Pimp too. And that's it for this post! Thanks for watching this video installment of Thrift Store Thursday -- if you actually managed to sit through the whole rambling thing. And if you couldn't, thanks for giving it a chance! Hopefully I'll deliver more focused and streamlined commentary as I get more vlogging experience. What is your favorite TMNT toyline? So over on The Technodrome Forums, there's a poll running in the toy section on users' favorite TMNT toyline -- the choices being the original line (1988-1997), the Next Mutation line (1997-1998), the 2K3 line (including Fast Forward; 2003-2006), the TMNT movie line (2007-2008), the NECA line (2008-2009), and the current Nickelodeon line (2012-). (The new classic figures weren't mentioned separately, but I guess one could include them with the Nick offerings.) Which would you choose? As much as I like certain offerings from many of the others, none of them come close to the original TMNT line. 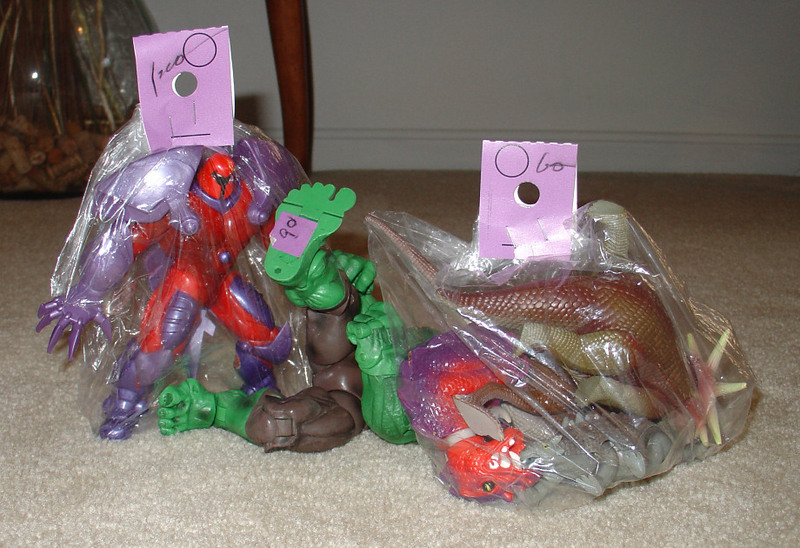 It was just so expansive, the sculpts were and remain among the neatest and most detailed of any toyline... and so many of the figures were just weird and novel. Universal Monsters and Star Trek Turtles? Turtles with birthday and military themes? (SUPERMUTANT TURTLES?!) Tons of figures with wild and play-enhancing action features in addition to the normal versions? It was just crazy awesome. Now, it's possible that the Nick line will eventually grow to the extent that the vintage line did, but I highly doubt it -- as I doubt that we'll ever see offerings from it as unique as what we got back in the 90s. I'd love to be proven wrong on that front, but until that day I have to cast my vote for the vintage line. In retrospect, I guess I was answering the question of which was the best overall line rather than my favorite -- but even then I'd have to go with the vintage line. 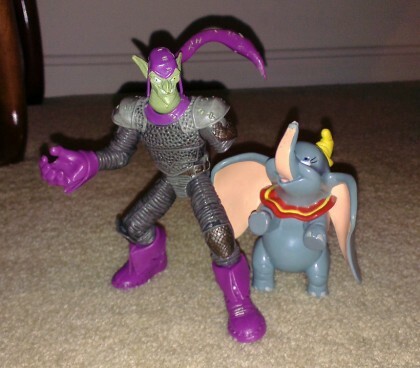 Sure, some of my favorite TMNT figures ever come from the NECA and Nickelodeon lines (I am totally digging the new Nick Turtles), but I've got more favorites from the vintage line than those lines (thus far) even have figures. I hope the Nick line lasts long enough to change that, at least!